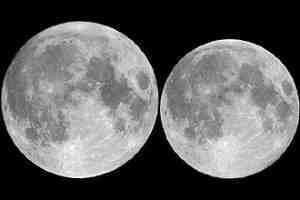 Recall the recent furor over the "brightest moon"? Here is a demonstration prepared by a Portugese amateur astronomer. He shot the moon through the exact same optics, once at perigee and once at apogee. Cool, no?